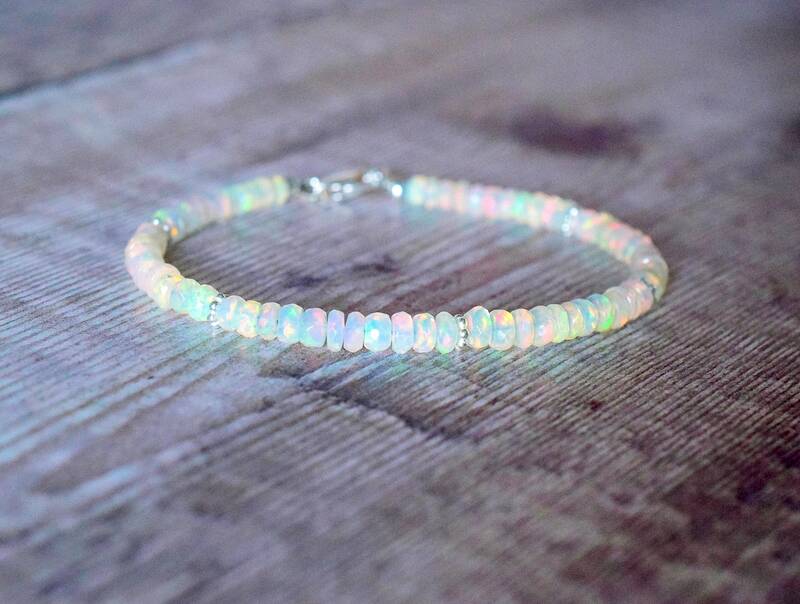 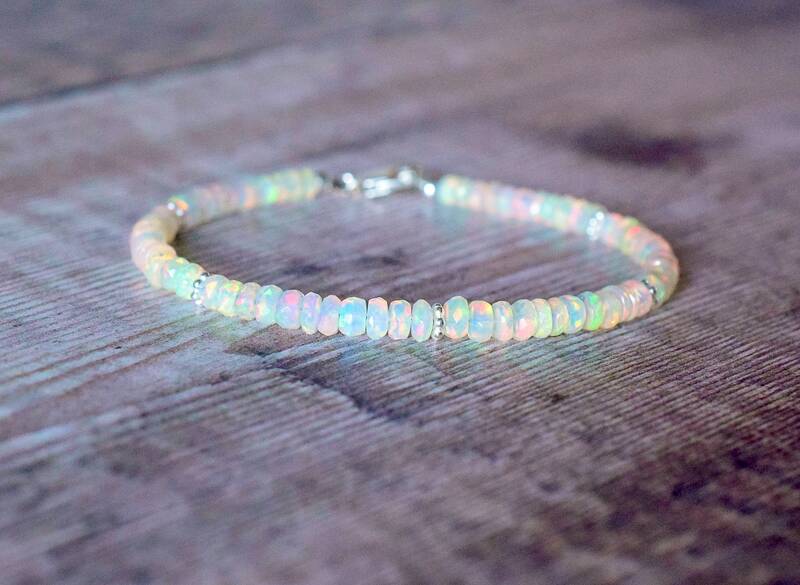 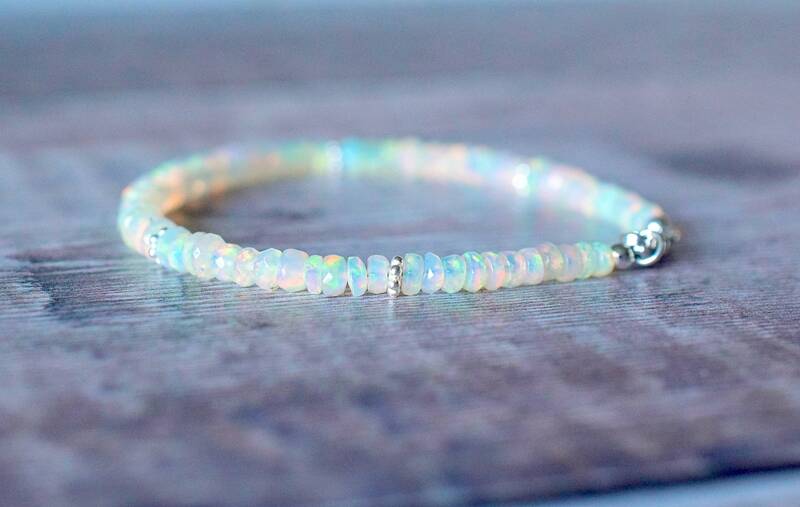 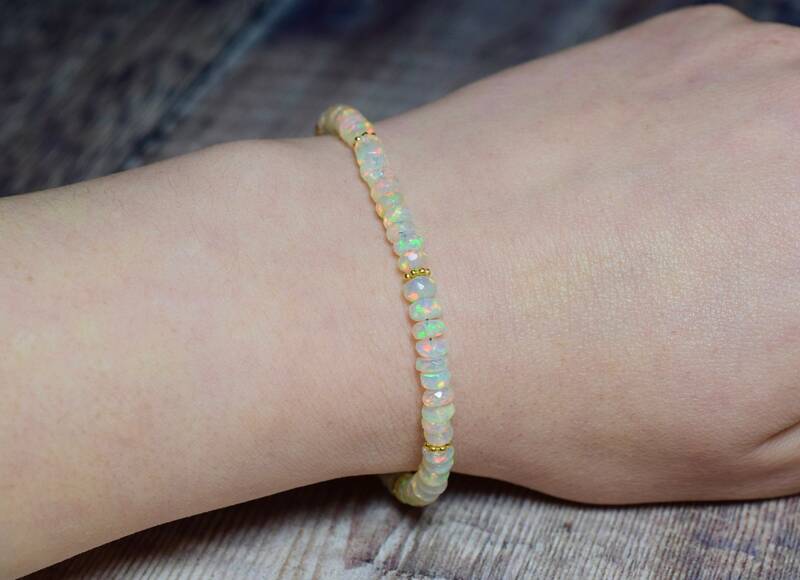 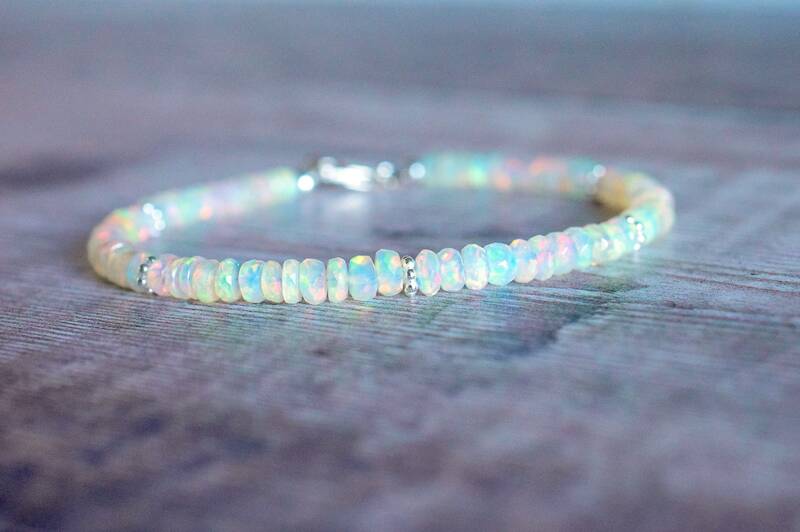 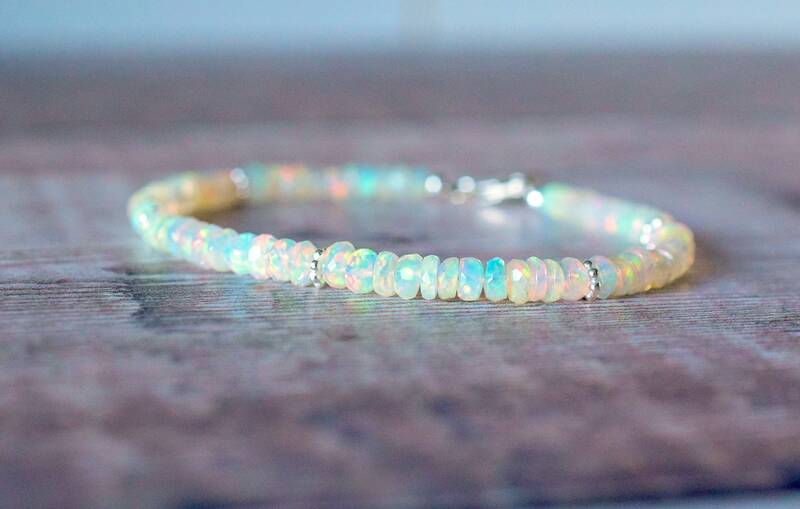 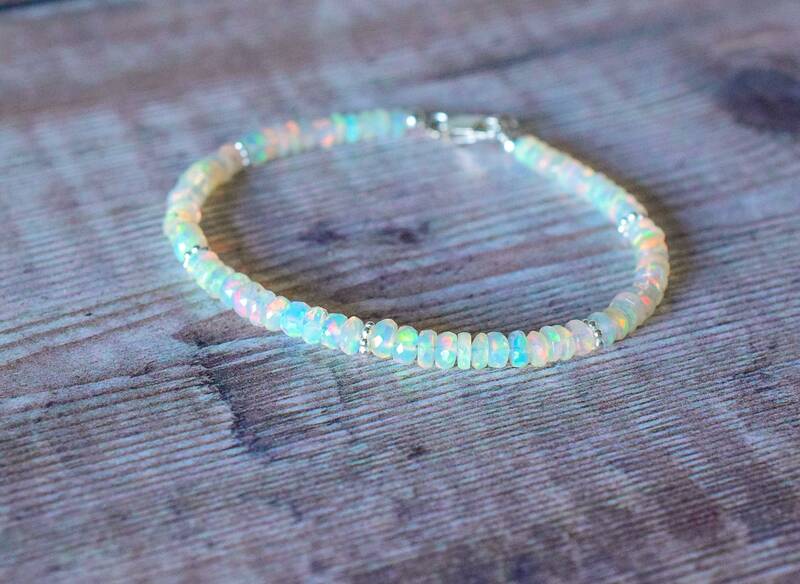 This gorgeous silver Opal bracelet is made with beautiful faceted Fire Opal rondelles that are bursting with flash and colour. 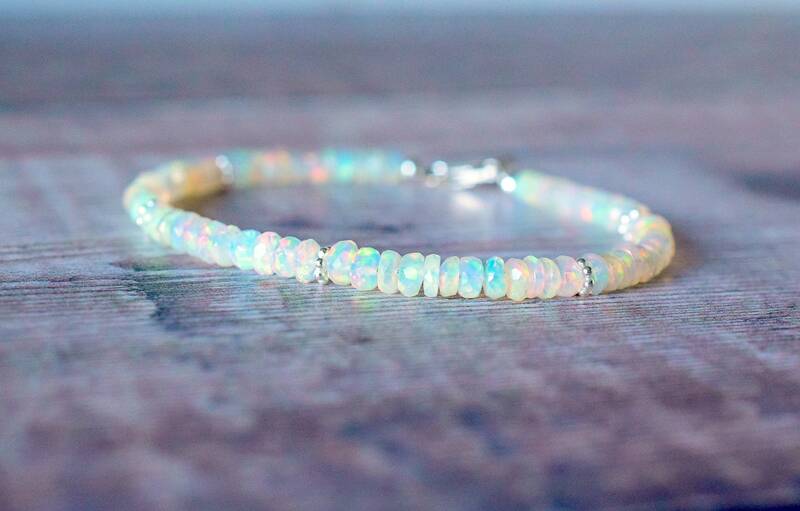 The Opals have been accented with sterling silver Daisy spacer beads and fastens with a sterling silver Lobster clasp. 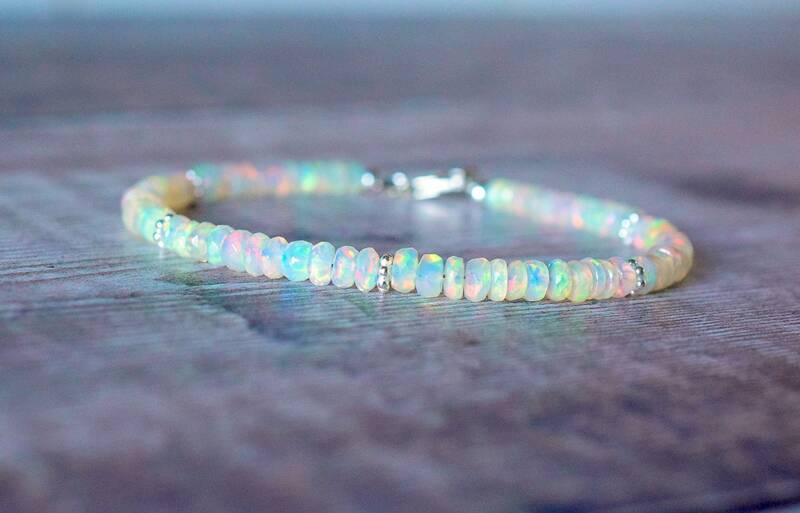 * The Opal beads measure 4mm.